What Are the Procedures of Opening a Bank Savings Account? Savings accounts are one way to squirrel away cash for emergencies. By setting aside even small amounts of money from each paycheck, you can build an emergency fund. You can open a savings account at a credit union, brick-and-mortar bank or online bank. Once you choose a financial institution, opening the account is relatively easy. 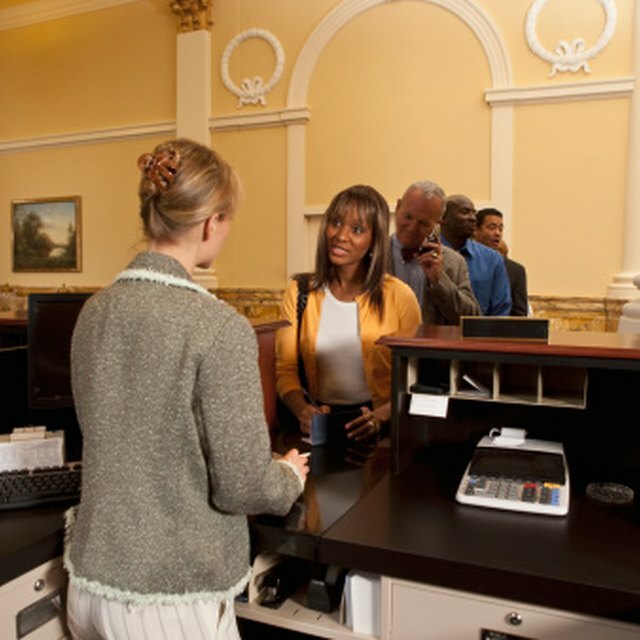 Traditional accounts at brick-and-mortar banks or credit unions allow you to deal with a live person and, in many cases, also opt for mobile deposit. You can withdraw your money in person or by transferring money electronically through the bank's website. Minimum balance requirements and fees are often low but the interest rate, or amount of money you make on your investment, also is generally low. If you already have a checking account at a financial institution, you will probably want to open your savings account there as well to simplify transfers between the two accounts. Online bank accounts typically offer higher interest rates, but you won't be able to interact with a live person and you'll typically have to transfer funds into a checking account to make withdrawals. Whatever your choice, be sure the financial institution is insured by the Federal Deposit Insurance Corp. Collect the necessary information to open the account. You'll need your Social Security number and a government-issued photo ID, such as driver's license or passport. When you apply for a savings account, some banks will pull your credit report to determine whether to accept you as a customer. They may also pull your ChexSystems report, which provides information about how your handle your banking relationships. You'll also need your opening deposit. For an account opened in person, you might bring a check from your checking account or cash. If opening the account online, you would need routing numbers to transfer money from a checking account or a credit or debit card. Some banks will allow you to wait up to 30 days before you have to come up with your opening deposit, which allows you to sign up for automatic deposits from your checking account or your paycheck. Check with your bank to determine if it provides ATM access to your savings account and how long you'll need to wait for an ATM card. Some banks also place holds on check deposits for new accounts, meaning the money won't be available for several days after deposit. The definition of a new account varies among banks, but may be 30 to 90 days. Establishing automatic deposit helps build your savings. Banks typically provide a welcome packet that includes the information to give employers for paycheck deposit, but, in general, you need to provide the routing number and account number. If you don't want to deposit your paycheck, but still want to make regular deposits, consider setting up automatic debits from your checking account.